Lately, we’ve had quite a few readers ask about 4K and VR gaming builds and honestly we’re not that surprised. With PC hardware powerful enough to support VR coming down in price, VR headsets now readily available for purchase, and more importantly a ton of awesome awesome VR games available and on the way, VR gaming has seen quite a bit of growth this year and it’s projected to grow exponentially in the next few years as well. Similarly, 4K gaming has seen some massive growth as well especially as prices on 4K monitors have gone down quite a bit in price over the past year with a number of monitors such as Samsung’s U28E590D 28″ monitor now available at under $400. As such, this month we’ll be putting together a build designed for gamers looking to play games at high quality settings at 4K or new VR games with VR headsets such as the HTC Vive. Our build this month will be budgeted at $2,000, so it won’t be a cheap machine, but it’s definitely not some astronomically high priced system that costs more than your car. While it may seem that 4K or VR gaming may require a lot of CPU performance, in actuality it doesn’t. Graphics is handled with the graphics card, so that only leaves things like AI, audio processing, and other tasks to the CPU. As such, we decided to go with the Intel Core i7-6700K which is one of Intel’s top mainstream CPUs, but still in a lower tier compared to their HEDT processors such as the Intel Core i7-6950X. The Intel Core i7-6700K is a quad core, Hyper-Threading enabled processor built on Intel’s latest 14nm Skylake architecture. Clocking in at 4GHz with a 4.2GHz turbo clock, it’ll be more than capable of handling all the latest games without issues. 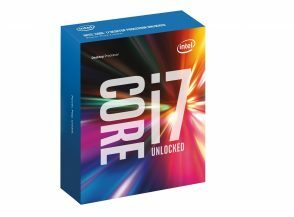 As the Intel Core i7-6700K is a K series processor, it’ll have unlocked multipliers which can be used for overclocking for even more performance. This will offer more than enough performance for our build today and will have no problems catering to even the games of tomorrow. For our 4K/VR gaming system, our main objective with the motherboard is to find something that has plenty of features, but still priced reasonably so we could fit everything into a $2,000 budget. With these requirements, we decided to go with the Gigabyte Z170X Ultra Gaming motherboard. 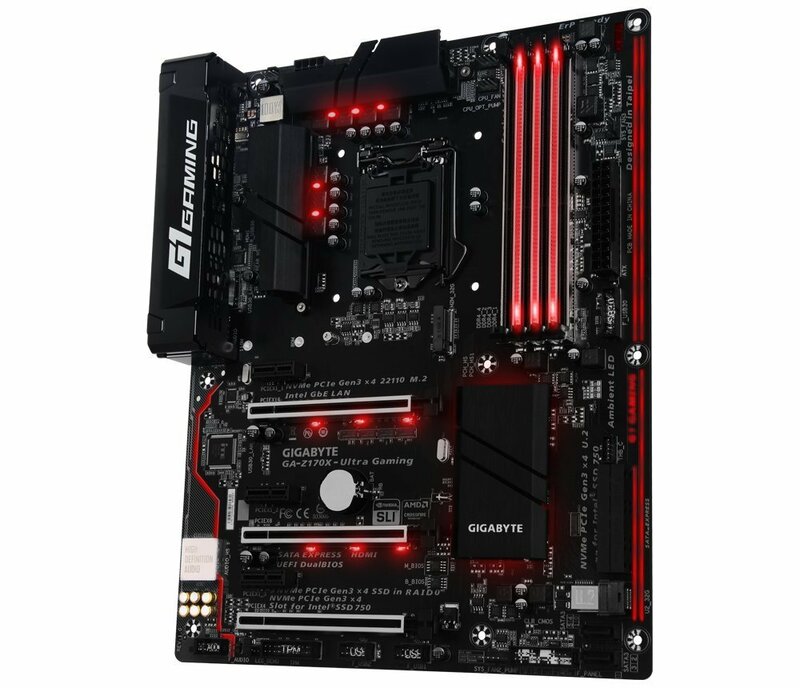 The Gigabyte Z170X Ultra Gaming is a Z170 chipset based motherboard which means it’ll support LGA 1151 CPUs. The board also features 4x DDR4 DIMM slots, an excellent power delivery system featuring durable black solid caps, gold plated CPU socket design, and plenty of onboard lighting to show off your new motherboard. 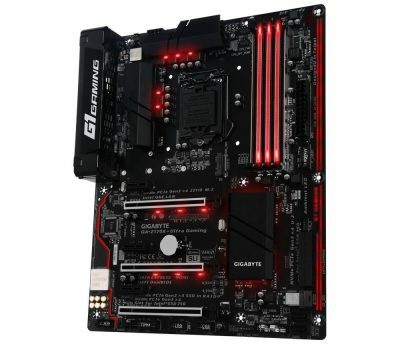 The Gigabyte Z170X Ultra Gaming also features numerous Ultra Durable features as well including metal shielding over PCIe, memory DIMM slots for enhanced durability, anti sulfur resistors for longer lifespan, and anti rust rear I/O connectors. Onboard there’s also plenty of connectivity options and storage options including USB 3.1, USB Type-C, Thunderbolt 3, M.2 PCIe, U.2, and more. Oh, and it has shiny lights too! 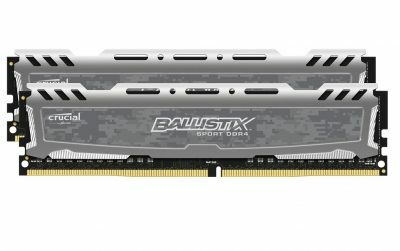 For memory for this month’s build, we decided to go with Crucial’s Ballistix Sport LT 32GB DDR4 kit. DDR4 has long been touted as a new memory technology that can not only lower power consumption, but also improve performance and increase capacities. The kit we chose for this month’s build is the Crucial’s Ballistix Sport LT 32GB (2x16GB) kit. While 32GB is admittedly a bit overkill for a gaming system today, many new games are embracing larger amounts of available memory and high amounts of memory will come in handy if you ever decide to start recording, editing and sharing game footage. What’s extra awesome about this memory kit other than the highly affordable pricetag is that it’ll only require two DIMM slots as it’s a 2x16GB kit which leaves two more DIMM slots open for an additional 32GB down the road if needed. When it comes to single GPU 4K or VR gaming, there’s very few choices on the market. Those who want the ultimate performance should opt for the GTX Titan X while those that just want a great experience can opt for the GeForce GTX 1080. For our build this month, we decided to go with the more economically friendly GeForce GTX 1080 which isn’t a slouch featuring a whopping 2560 CUDA cores and 8GB of GDDR5X on a 256-bit memory interface. This latest graphics card from Nvidia will easily play all the latest games in 4K and VR. 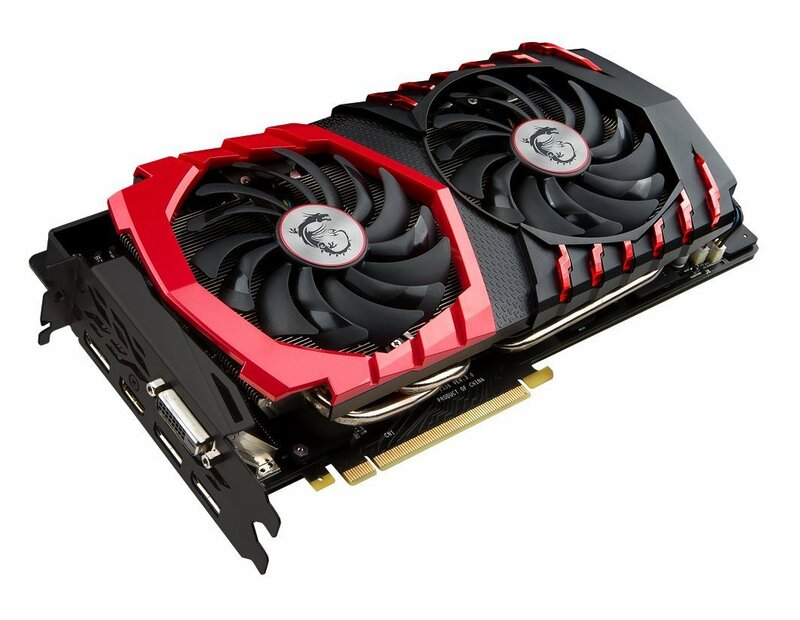 Our specific pick for this build is the MSI GeForce GTX 1080 8GB Gaming variant as stock and prices of custom designed GTX 1080s have finally stabilized in the marketplace. While it’s still not a cheap graphics card by any means, it’s very competitively priced for its level of performance and features. For the MSI’s custom Gaming edition, MSI includes their new Twin Frozr VI thermal design featuring TORX 2.0 fan technology for a cool and quiet gaming experience. Over the past few years, Phanteks has developed quite an impressive collection of really well designed cases and the Enthoo Evolv is a prime example. A few months ago, we reviewed the Phanteks Enthoo Evolv Tempered Glass Edition and we were very impressed. The Phanteks Enthoo Evolv is a very well designed case that’s very easy to build into for novice builders and experienced builders alike. 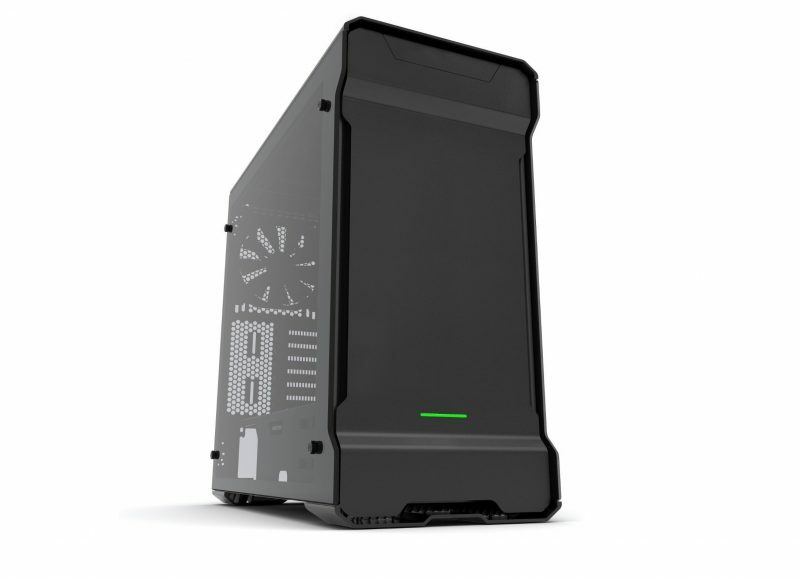 Some features of the Phanteks Enthoo Evolv Tempered Glass Edition include a tool free design, support for up to 7 expansion slots, 8x internal 3.5″ drives, 3x dedicated internal 2.5″ drives, support for up to 5 fans, multiple watercooling radiators, and more. What really takes the cake on the Phanteks Enthoo Evolv Tempered Glass Edition however is the tempered glass which spans the entire side of the case. This will allow you to show off your cool hardware and make all your friends jealous in the process. 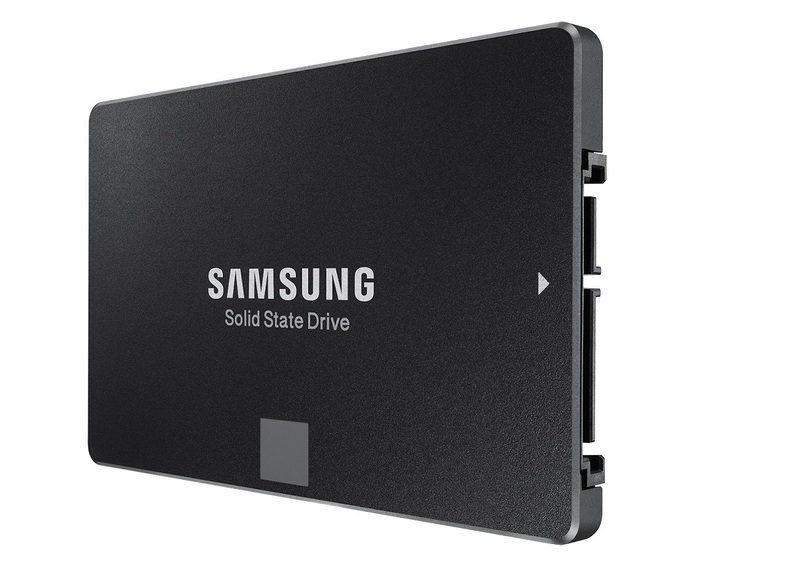 For storage, we’re going with the Samsung 850 EVO, which is currently our top pick for a SATA SSD. In our review, we found that the Samsung 850 EVO strikes a perfect balance between high performance and reasonable price. Samsung also offers the Samsung 850 EVO up to 4TB for those who really want to fit their entire game library onto a single drive. For this build we also considered the Samsung 950 PRO which is the fastest consumer M.2 PCIe NVMe SSD which is capable of performance up to 2,200 MB/s sequential reads and 900 MB/s sequential writes. However, in light of the recent announcements for the Samsung 960 EVO and 960 PRO, we decided to go with the Samsung 850 EVO instead, giving us the option of upgrading to the Samsung 960 series when it gets released later this year. It’s been a while since we’ve done a $2,000 gaming PC and it’s always nice seeing just how much of a system can be purchased for under $2,000 these days and in this case quite a bit. Our 4K/VR system build we have will easily be capable of powering a full VR and 4K gaming experience with ease – something that would’ve easily closer to $3,000-$5,000 just a year ago. Also note that this is the first time we’ve marked the optical drive optional. Microsoft now offers Windows 10 in a USB key format which no longer requires the use of an optical drive to install the OS.